A job well done or a career milestone does not go unnoticed by many of today’s most successful companies. In fact, U.S. businesses are now spending close to $80 billion each year to motivate and engage their workforce, according to the Incentive Research Foundation. Past surveys have shown that effective employee recognition programs are closely linked to an increase in employee retention and job satisfaction. That’s why many CEOs, executives and managers view these programs as an investment rather than an expense or burden. 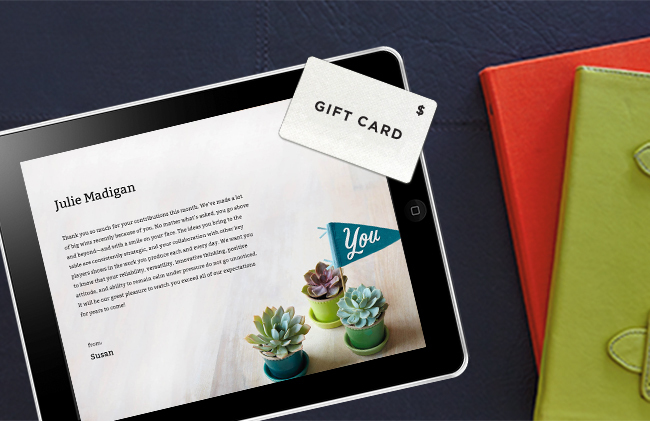 How Much Should I Budget for Our Recognition Program? A 2017 World at Work study found that while some companies spend as much as 10% of payroll on employee recognition, the average budget for employee recognition is 2% of payroll, and the median amount is 1%. How much your company puts into your employee recognition budget, however, hinges on its goals, values and overall mission. 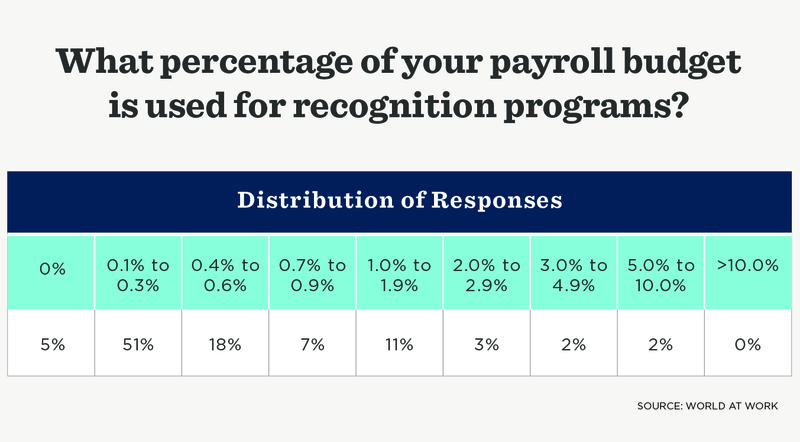 But here at Hallmark Business Connections, we believe that your organization can fund a highly effective and well-balanced recognition strategy for less than 1% of payroll. Along with the considerations mentioned above, you should also establish an annual employee recognition budget based on your company’s engagement strategy, headcount and frequency. Is your aim to validate and reinforce top performers and performances? If so, budget for higher award denominations at lower frequency. Looking to develop rising stars and engage the wider population? Then budget for higher frequency with lower denominations. Build and balance a solution that incorporates both monetary and non-monetary recognition. Here at Hallmark Business Connections, we think about employee recognition a little differently. Although all 5 of these categories are important, we believe that recognizing your employees’ major off-the-clock moments is important, too (birthdays, anniversaries, wedding, new baby, new home, etc.). Building employee relationships means recognizing them for more than just the moments they have in business—it means recognizing the whole person. That’s why we would add Life Events as a sixth category for companies that are looking to build and strengthen relationships with employees or enhance the experience of working at your company. Below, we’ve included a ballpark figure on how much to consider spending on these various awards. 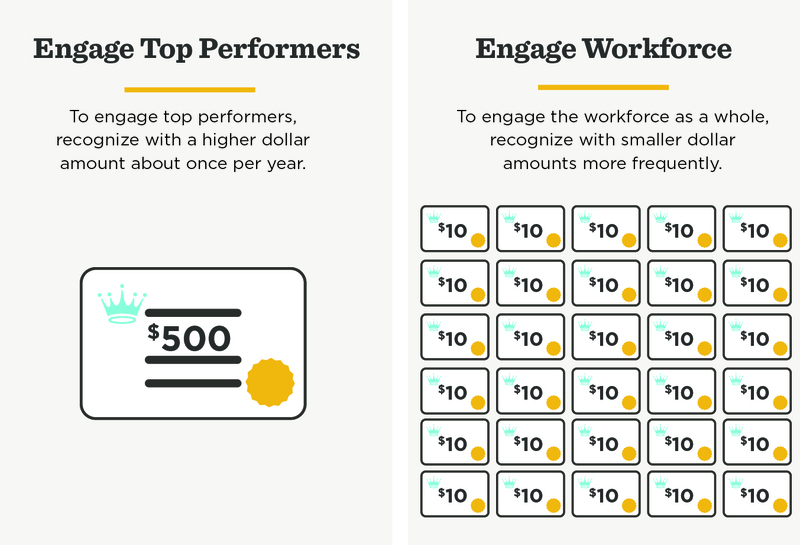 Keep in mind that this is just a general guide for setting your employee recognition budget (but a helpful one!). Budget $10-20 per year of service for every employee each year. These are most commonly acknowledged on milestone anniversary dates (5, 10, 15, 20, etc.). 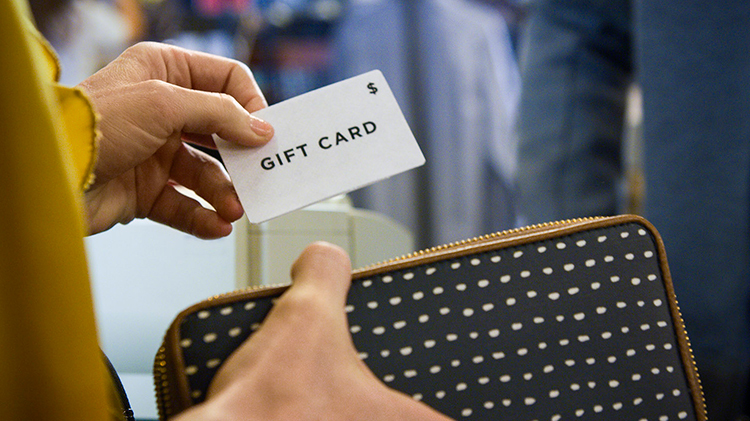 For example, you should spend $50-$100 on an employee’s 5-year work anniversary. Budget for 4-6 awards (valued at $20-25 each) per employee each year. Typically averaging $100-150 per employee each year, this is a baseline budget for planning purposes and acknowledges the fact the not everyone will earn that many awards, while the best performers will likely earn more than that. Budget $200-$300 per employee each year. Awarding safety and wellness may be very formal (tracking activities and accumulating achievements that are recognized and rewarded) while others may be more informal in nature, focusing on recognizing and reinforcing the observable behaviors that contribute to a safer, healthier work force. Combined, these programs contribute to direct cost savings. Budget $25-$50 per employee each year. One of the newest “reasons to recognize” that companies implement is innovation. Often, this can be tied into Spot Recognition. Or, if your organization puts innovation at the forefront of its mission, it’s important to recognize those that think in different ways and allow the company to be more innovative separately. Budget $10-$20 per employee each year. Finally, it’s important to set aside a budget for employees’ life events. If an employee is celebrating a 40th birthday, welcoming a new baby, has achieved a personal milestone or any other major “life event,” it’s important to recognize it from the company. 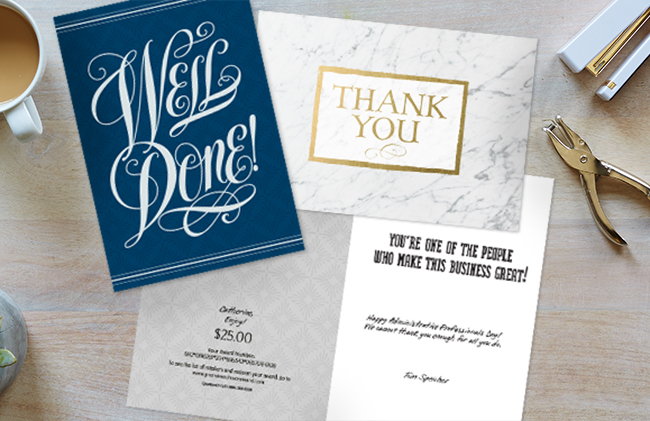 We recommend adding a $10 per employee each year for various occasions to allow you to present them with a timely and thoughtful message, showing them you know how important these events are for them. The best thing to do for life events? 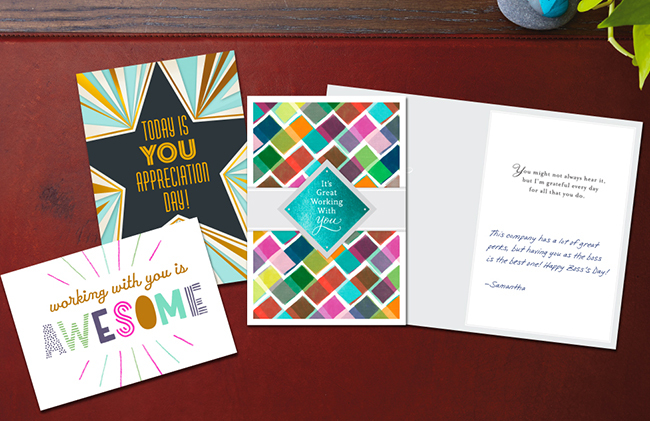 Send a card! Keep in mind the primary goal of your company’s employee recognition program is to acknowledge, validate and reinforce. Positive feedback (which is FREE!) is also an incredibly powerful motivator in and of itself for establishing, building and strengthening relationships across your company or organization. Non-monetary recognition must be a part of the solution and is ideally suited for peer-to-peer recognition. With that said, there is absolutely a time and place for monetary-based awards to further emphasize your gratitude, appreciation and validation. The importance of budgeting is to ensure you have the ability to execute the planned and predictable as well as equip the front-line leaders with the tools to “plus it up” with a monetary incentive. When it comes to creating an effective employee recognition program, let us be part of your solution. We can help your company create meaningful recognition moments at all stages of your employees’ careers—starting at day one. We have a solution for every company that believes emotionally engaged employees and customers are critical to long-term success. Find out how we can help you by contacting us today!